Prior to hearing John Kirkland share the time-line of his Frisbee journey in amazing detail, Randy and Jake ask each other if they remember their first tournaments. Jake has pretty good recall; Randy, not as much. John shares a life changing experience when he and Victor Malafronte used to open in front of huge audiences for the Harlem Globetrotters. 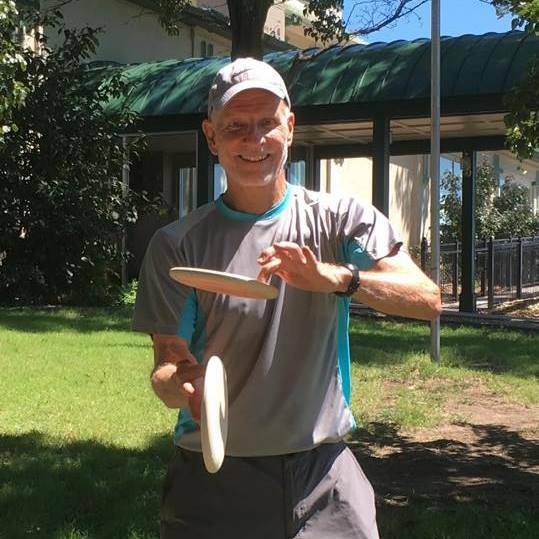 John cherishes his memory of playing at Madison Square Garden, which turned out to be one of the many pivotal moments of Frisbee becoming a sport. Hear how Randy’s youthful long hair influenced his future. Hear how Jakes hair story is exactly the opposite. Whatever your hair, or lack thereof, let your freak flag fly! I don’t know when Randy played in his first tourney, but I do remember that he hit me in the forehead with a drive on the golf course in Seattle in 1979. Fortunately, that was before the era of beveled edge discs, so getting hit by a golf disc wasn’t fatal at 50 meters from the tee pad. Thanks again, Randy! Nice to meet ya! Speaking of disc improvements, I feel it’s time for an upgrade from the Sky Styler. In case anyone hasn’t noticed, it’s over stable. It is always curving hyzer in its flight path. I don’t recall the early Sky Stylers flying like that, but I could be wrong. However, a Freestyle disc that flies true to it’s release point would be quite a welcome thing to this Jammer. Great to hear from JK, who brought the sport of frisbee to the world. After Whamo purchased CPI, they changed the plastic and the formerly indestructible CPI disc broke in the cold New York air. 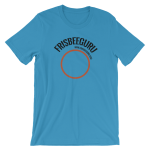 Many people saw how the frisbee could be a sport based item but JK did so much to promote that concept.